Our goal is to support students so that they are fit and able to learn. Two counsellors provide a confidential, easy-to-access service which caters for all students. This is a self-referral process, although heads of houses and families may recommend an appointment with a counsellor. Netsafe is New Zealand’s independent, non-profit online safety organisation. We provide online safety help, support, expertise and education to people in New Zealand. We’ve been around for almost 20 years, and there’s a bit of history behind how we got to where we are today. Our ambitious dream at Parenting Place is for Aotearoa New Zealand to be a place where every whānau flourishes and every child feels deeply loved. In fact, we believe that healthy, loving families can transform society. Home and Family Counselling is a well-established community-based counselling service. We provide counselling to children, youths, individuals, couples and families. Our organisation has been helping people in need for over 120 years. Shine provides a range of effective, practical and innovative services to achieve our mission to stop domestic abuse in New Zealand. We directly help thousands of adult and child victims every year to become safe and stay safe through our frontline services, and we indirectly help thousands more every year through professional training programmes, our DVFREE workplace programme, and our health sector partnerships. HELP provides professional and specialised support services to sexual abuse and assault survivors. Information sheet for parents and carers. Students are often faced with a series of exams or tests at the end of term or semester, which are usually scheduled closely together. Parenting Through Separation is a free parenting course that’s available all year around New Zealand. At the course, you’ll get practical advice to help you understand and manage the needs of your children following separation. WhatWorks4U.org aims to improve treatment for young people with mental health problems by gathering information about what works in the real world. Youthline works with young people, their families and those supporting young people. Our organisations are made up of volunteer and paid staff members – and we have centres based across the country. Altered High is CADS youth service for young people aged 13 – 19 and their family/whānau. We are a mobile community service and travel to see young people in an environment most suitable for them such as at school or at work. SPARX is a computer program that helps young people with mild to moderate depression. It can also help if you’re feeling anxious or stressed. If you want to know if SPARX is right for you, complete the Mood Quiz. All of us want to have a happy life. No one wakes up in the morning thinking “I hope I will be miserable today”. Many of us think that happiness is dependent on external situations like possessions, status and pleasures. Though these things can be good, often the satisfaction they bring is short term. 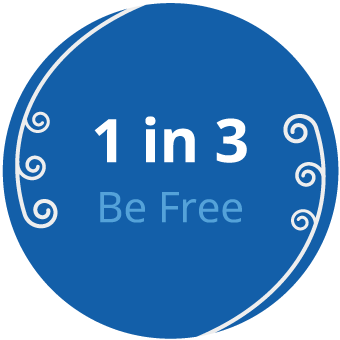 ‘1 in 3 Be Free’ is a mobile application to help women screen their relationships for abuse and connect them with support networks nearby. Everyone needs a little help sometimes. Children and young people are particularly vulnerable – they may be too young to know what’s going on around them or lack the ability to make their voice heard. They may struggle with knowing where to find the right help and can suffer from discrimination simply because of their age. We’re here to make sure children and young people get a fair go. Working with young people to promote respectful relationships and prevent sexual violence. BodySafe is an interactive secondary school programme that promotes healthy relationships by having open and supportive. RainbowYOUTH (est.1989) is a charitable organisation dedicated to helping young queer and gender diverse (LGBTIQ) people up to the ages of 27, as well as their wider communities.